Another fantastic and well articulated article from Jay Salser. Our timing lights are pointed in your direction. 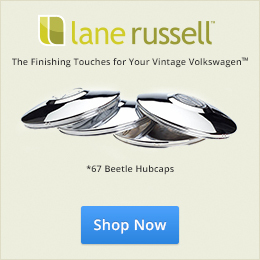 Thank you for all you do here at 1967beetle.com. We mostly think of vapor in conjunction with heat. So a BIG question arises when the “vapor lock” occurs under cool circumstances. This renders such a diagnosis suspect. It is very easy to blame a poorly functioning air-cooled engine on a “vapor lock”. When someone calls to ask what can be done to cure a “vapor lock”, I ask lots of questions. I want to hear how the car-engine acted. I want to hear about the circumstances that led to the problem. I want to hear about the ambient temperature. My mind follows the Fuel System from the Tank to the Fuel Pump. And I literally ask the caller questions during my mental perusing of the Fuel System. It’s like a movie playing through my brain as I listen and ask questions. Did the engine just quit? Did the engine buck, then finally stall? Usually people try things like pouring water over the Fuel Lines or over the Fuel Pump. Or, maybe the caller has changed the Fuel Filter. In any case usually no firm diagnosis is reached and the next time it happens, the same scenario plays out. One person reported that his car stalled at the roadside. A passing motorist stopped to give aid. He produced a bottle of water and poured it over the Fuel Pump. Soon, the engine started and the driver resumed his journey homeward. The assumption—the Fuel Pump had suffered a “vapor lock”—even though the weather wasn’t even hot. Recently, Frank Salvitti talked to me about the “vapor lock” which temporarily put his car out of commission. He had driven a few miles, parked his Beetle and gone into the store to make his purchases. When he came out—the car would not start. He said that he could not see any fuel in the Fuel Filter (mounted, still, in the engine compartment). Eventually, after the engine had cooled, he surmised, the car started and he drove home. Here’s what I asked Frank to do. I asked him to get a Fuel Pressure Gauge to connect between the Fuel Pump and the Carburetor. In a few days, he reported Fuel Pressure in excess of 5 PSI. This is far too much pressure. The Float Valve (commonly called the Needle Valve) in the top of the Carburetor cannot withstand such High Pressure. Gasoline forces its way into the Bowl and begins to overflow down the throat of the Carburetor. When this happens, not enough air can mix with the un-atomized gasoline and the engine is choking to death on raw fuel. It either stalls or won’t restart after having been turned off. Until all of that raw gas has dispersed and evaporated. Think of the Bowl of the Carburetor as a toilet tank. If we hold the float down, water continues to fill the tank until it finally overflows. We have generated “excessive pressure” on the tank float—overpowering the cut-off mechanism. Sometimes the Pressure is so great that gasoline can be seen percolating in the filter (if it is connected between the Pump and the Carb). With the Air Breather removed, raw gas sometimes can be seen over-flowing down the throat of the Carburetor. This especially can be seen if the car has been parked nose-uphill. 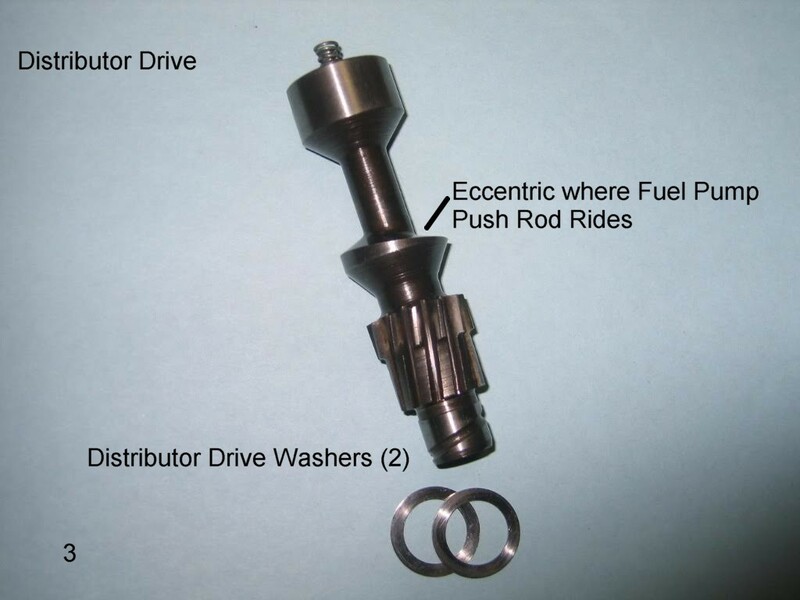 First, let’s review how the Fuel Pump operates through the following photographs. It is essential to measure the Fuel Pressure. Once the Pressure is known, if necessary, action can be taken to correct High Pressure. If the Pressure is found to be much higher than 2.8 PSI, the Fuel Pressure must be reduced! The Pressure doesn’t have to be exactly 2.8. It even could be a bit higher or a bit lower. The Official Manual calls for “about” 2.8 psi at 3400 RPMs. In that range, Fuel Pressure will not compromise the Float Valve (Needle Valve). Here’s the theory: by raising the Fuel Pump, the Push Rod (113-127-307) which actuates it will not be able to push the Pump Lever as far. By extending the distance which the Push Rod must travel, Fuel Pressure will be reduced. How do we raise the Pump? 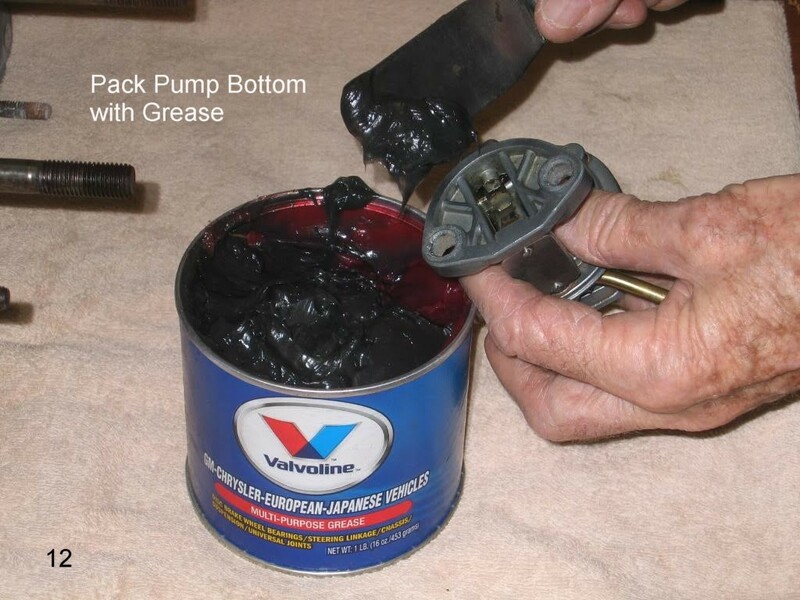 Simply by adding a second or even a third Upper Gasket between the Fuel Pump and the Fuel Pump Plastic Block. This procedure IS going to require that the Fuel Pump be removed. The Fuel Hoses must be removed from both the Inlet and Outlet Tubes of the Fuel Pump. Once they have been removed, the two 13mm Hex Nuts and the Wave Washers must be removed. The Fuel Pump will lift right off the Fuel Pump Plastic Block. But, before beginning this procedure, have on hand several of the Upper Gaskets. 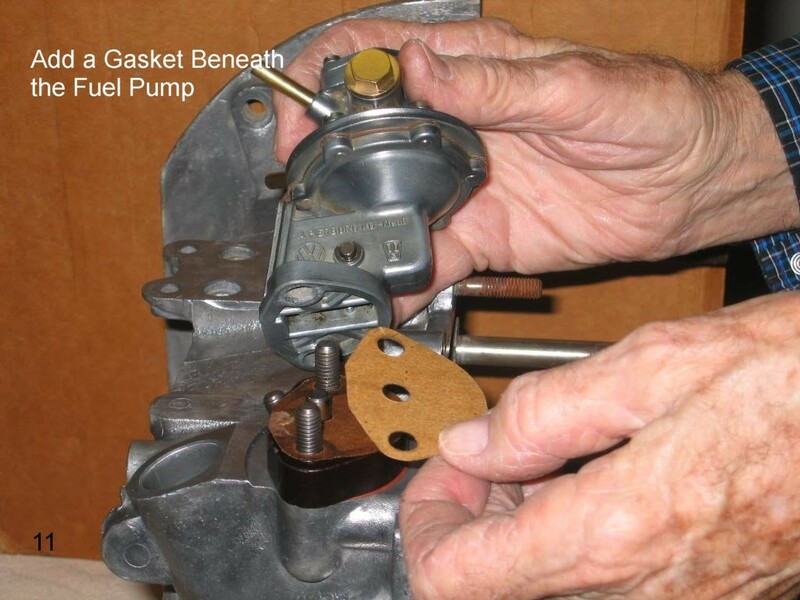 It is possible that the original Upper Gasket may be damaged upon removal of the Pump. In any case, you will need extra Upper Gaskets. These can be purchased at several sources. 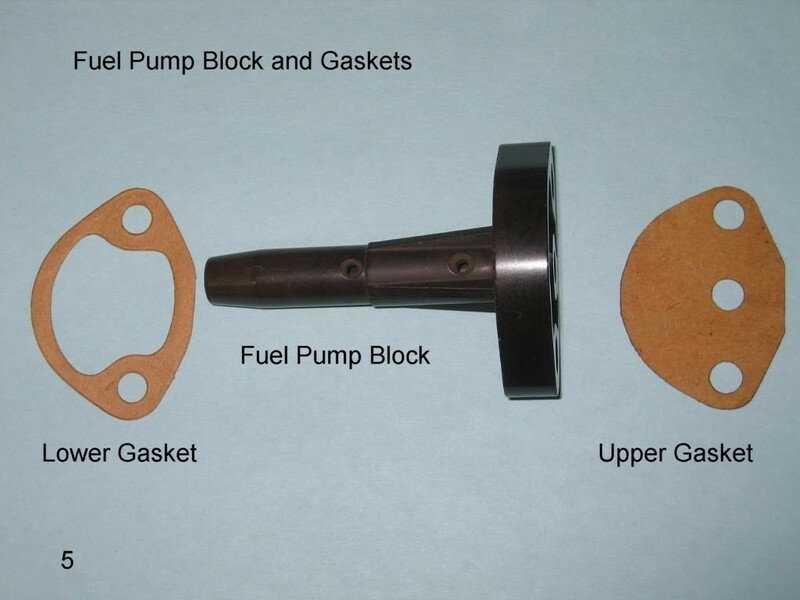 The Fuel Pump sits atop the “Block” (113-127-303), often called a “Spacer or Flange”. This “plastic” Block should NOT be removed—just left where it is. If you wish, you easily can pull the metal Push Rod from the Spacer Block. Check it for deposits of old oil/grease. You can polish it a bit, if you wish, using a 2000-2500 grit wet-dry polishing paper. If you don’t have that, use 0000 steel wool. Wipe the Rod clean and replace it into the Spacer Block hole–pointed end down. While you have the Pump removed, check the bottom recess. It should be filled with Bearing Grease. If it seems to be lacking, add Grease. This will lubricate the top of the Push Rod and the Lever and Spring of the Pump. Now, fit one new additional Upper Gasket (113-127-313) onto the two studs atop the Spacer Block. Replace the Fuel Pump. Install a Washer to each stud and then start the Nuts. Tighten the Nuts to 13 foot pounds. Reinstall the Inlet Fuel Hose. Then, install the Pressure Gauge between the Pump and the Carburetor. Run the Engine while checking the pressure—you’ll need a helper for this exercise. Have the car out of gear and the emergency brake pulled on. For added safety, chock in front of the front wheels and behind the rear wheels. If the PSI still is too high, repeat the above procedure and add another Upper Gasket. Then, check the Fuel Pressure again. With the addition of one or more Gaskets, the Fuel Pressure should have been reduced nearer to 2.8 psi. In that range, Fuel Pressure will not compromise the Float Valve. 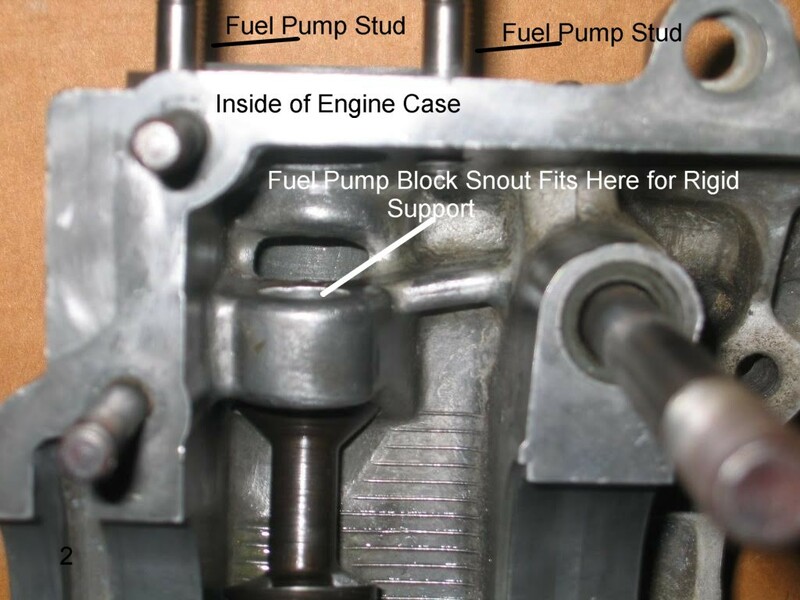 Frank followed these procedures and, using only two additional Upper Gaskets (a total of 3 Gaskets) atop the Spacer Block, he was able to lower the Fuel Pressure to about 2.5 psi. Wanting to test the car, he put it through its paces. Since Frank drives the Beetle daily, he doesn’t want any more stalls. He’s had no more issues with the engine. 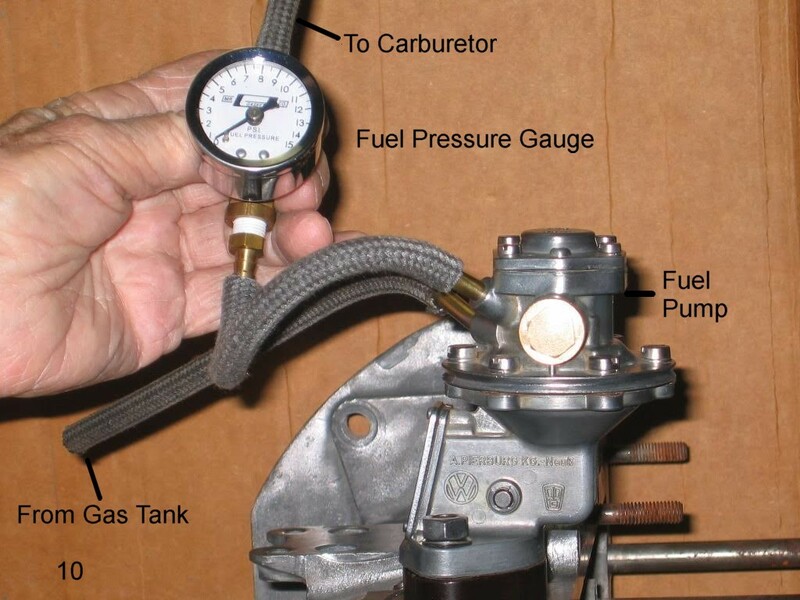 What to do if you do not have a Fuel Pressure Gauge or cannot borrow one? With the Fuel Pump removed and the car in neutral (Engine off), turn the Engine by hand until the Push Rod extends to its Maximum Height above the Spacer Block. This should be right at 13mm with the original Upper Gasket still in place. Now, turn the engine by hand until the Push Rod is at its Lowest Height. It should extend above the Fuel Pump Block by about 8mm. Subtracting 8mm from 13mm, we reach the Stroke Value. The Total Stroke of the Push Rod should be 4-5mm. This should equal in the neighborhood of 2.8 psi of Fuel Pressure. Those Volkswagen Engineers spent a lot of time and money perfecting the Fuel Delivery System of these little cars. If we keep them to original standards, we will be able to drive and drive and drive them. Caution: When working with or around gasoline, always do so with caution. Do not work in a confined area. Having a fire extinguisher handy is a good idea. I have two friends who are machinists. 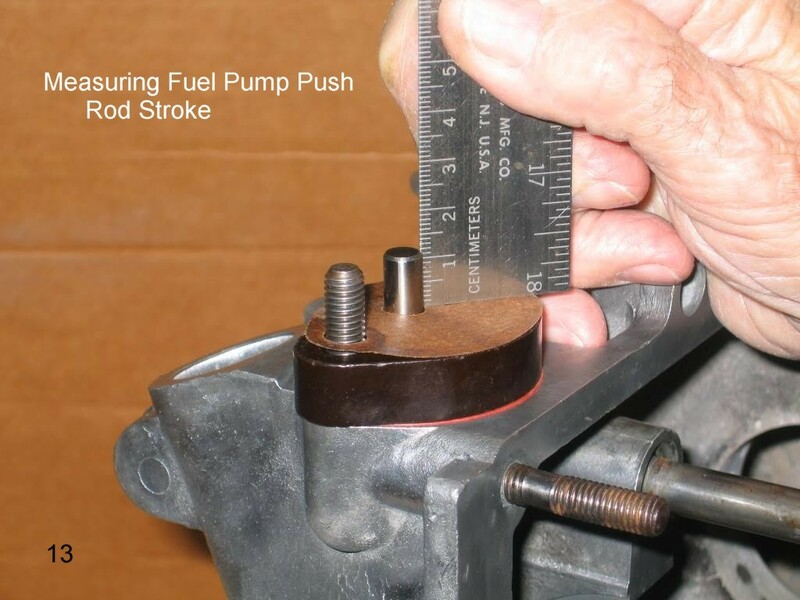 Rather than to achieve proper Fuel Pressure through raising the Fuel Pump using Gaskets, they measure the Stroke, then mill to remove material from the top end of the Push Rod until they have achieved the correct “lift factor” (Stroke) of the Rod against the Pump Lever. 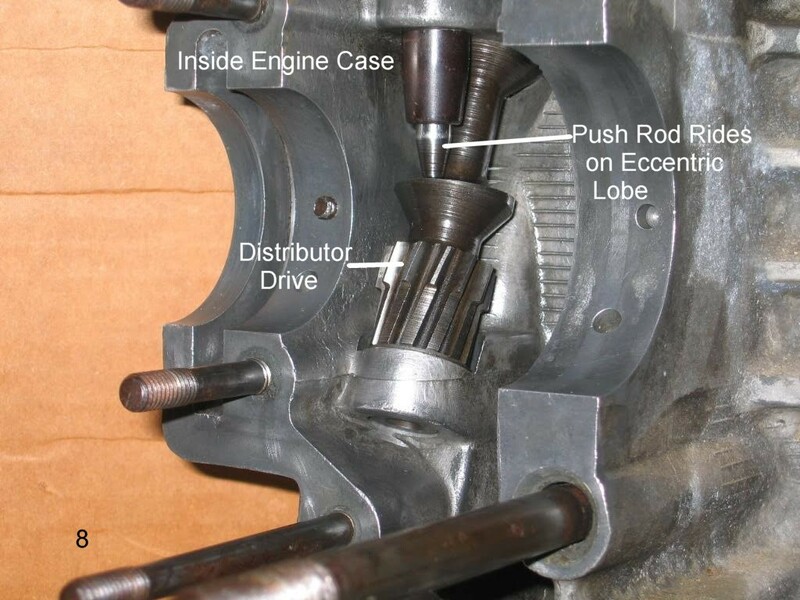 Since the “head” of the Alternator is larger than that of a Generator, engines fitted with Alternators must use a distinctive style of Fuel Pump which is canted towards the driver’s side of the engine. Otherwise, the Fuel Pump cannot be bolted into place due to the restricted space. The Push Rod for a Canted Fuel Pump is shorter than the Push Rod for the Upright Fuel Pump for use in conjunction with a Generator. 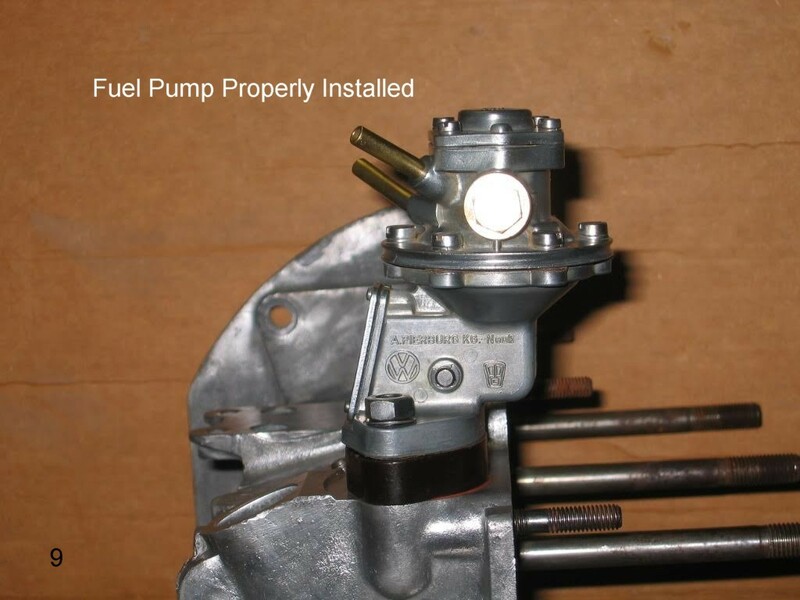 The Push Rod for the Alternator style Fuel Pump measures approximately 99mm. 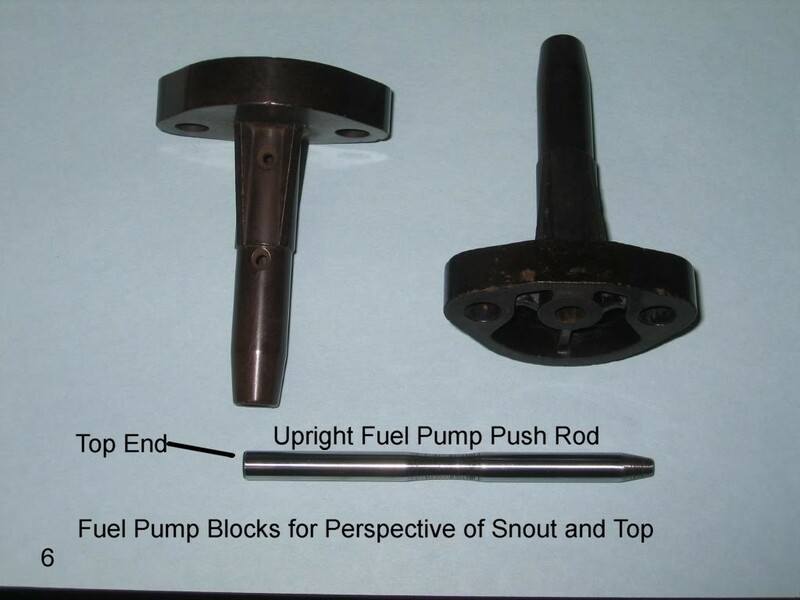 Contrast the Push Rod for use in the Upright Fuel Pump (for use with the Generator) which measures approximately 107mm. When a Fuel Pump other than the original 1967 type is to be used, make certain that the Push Rod is correct for that Pump application. Excessive Fuel Pressure results in a Gasoline Glut in the Engine. What happens to that Gasoline? 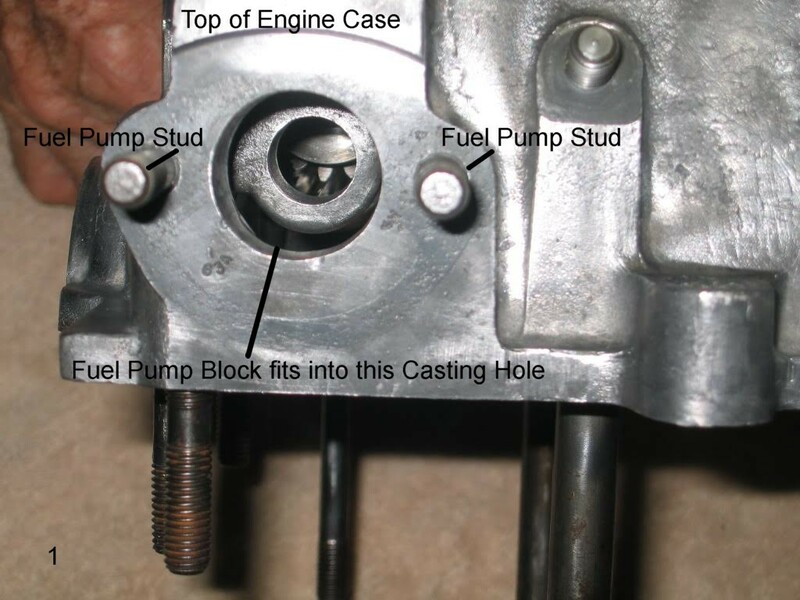 Excess Gasoline which courses down the throat of the Carburetor and through the Manifold to the Cylinders can end up passing around the Piston Rings. In its journey, it washes Essential Lubricant from the Cylinder Walls. It continues its journey into the Oil Reservoir. Engine Oil diluted with Gasoline soon washes all Lubricant from the Engine Bearings. If this is allowed to continue, the Engine will begin to heat excessively and the bearings will “seize”. The Engine has failed. 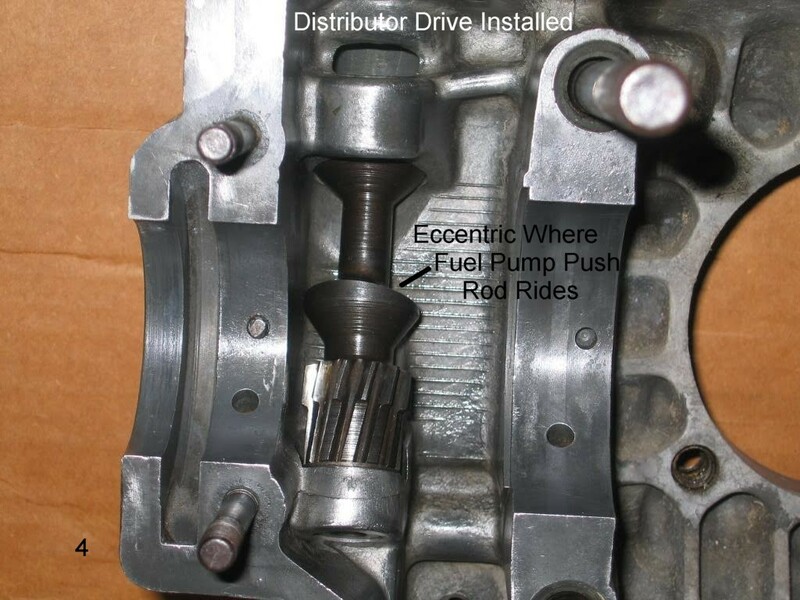 At speed, it can begin to disintegrate, sometimes resulting in complete destruction of the Engine Case. 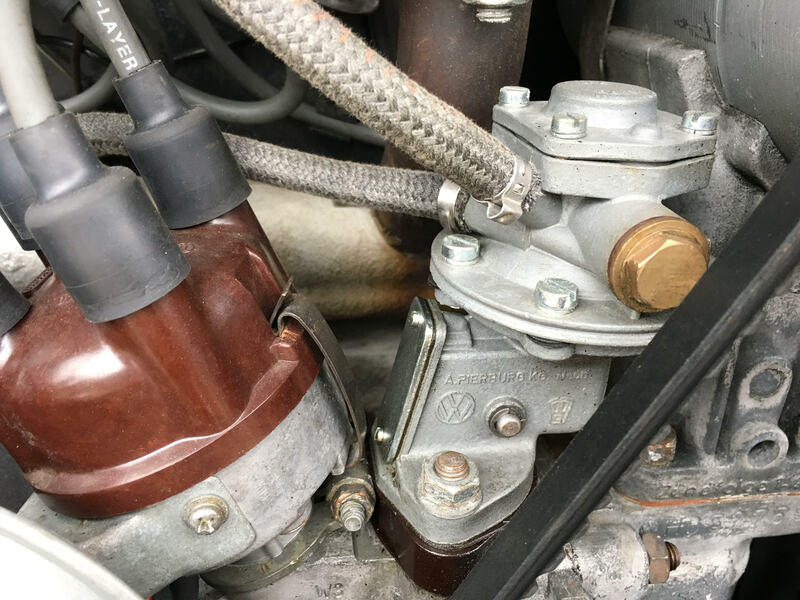 My thanks to David Brown for discussing Fuel Pump Pressure with me and for providing VW Part Numbers and other factual information for this article. 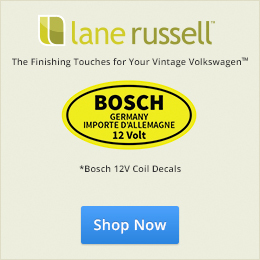 David has had decades of VW experience and offers a rich source of advice. I also consulted Doug Smith of R & D Engineering and Barry Blythe of Blythe Enterprises, both Master Mechanics. Their experience and advice added missing information to this Article. Both have dealt with Fuel Pressure issues in Air-Cooled Volkswagens. As always, my wife Neva patiently photographed the various props, reviewing the pictures until we had achieved proper results. Frank Salvitti worked closely with me on this project and provided excellent feedback as he solved his Black 1967 Beetle’s Fuel Pressure problem. Thank you, Frank! Wow, you did it again, Jay! Excellent information! I am experiencing a similar problem with my ’71 Westy! I suspected flooding of the carburetor because I could smell gas! Guess it may be time to check the fuel pump pressure! Very informative article Jay! Hello, Art..Good to hear from a fellow Texan! Yes..check the output of the pump to see what’s happening. If the pump is delivering, then pressure might be the culprit. I also suspect that one of the causes may be after-market (which is all that is available at this point) fuel pump blocks. I have heard that the new ones are not the same “height” which is required to match the push rod length. This is something which I want to investigate. Hopefully I can do this in the near future. I have squirreled away some original fuel pump blocks. Used original blocks still can be found here and there. I’ll make known what I find. Or maybe someone will beat me to the punch with some conclusive information. Keep enjoying your Beetle, Art! jay. I believe you got your restored pump from us. Let us know if you need any install help along the way. Thank you to both of you guys for good words I’ll keep y’all in loop for this repair ! I would ask , are there many folks out there who install a in line fuel pressure gauge ,for some of these issues ? Or is that only for high performance engines ? I was having similar issues with the original style pump discussed. I replaced my 1967 unit with the common replacement (w/gold anodized top) which seemed to correct the problem. I did not check the output or measurements you provided. My question, on the replacement unit, are the measurements, values and procedures the same? I also don’t remember filling the base with wheel bearing grease either. I will make sure these issues are checked. a lot of time searching for rebuildable cores. Premium remanufacturing kits can be difficult to locate, too. Jay, excellent writeup. As I think I mentioned before in your last article I had exactly the same issue, gas dripping into intake after engine shut off. It’s pretty obvious to find, just remove the air cleaner after shutting off the engine and then look down the throat of the carb and after a couple of minutes you will see fuel dripping out of the main carb office. Same issue, I had an overpressure fuel pump, which seems to be all too common with the aftermarket parts. While I did add some gaskets and it helped, the best solution was to install a rebuilt original Pierburg unit. 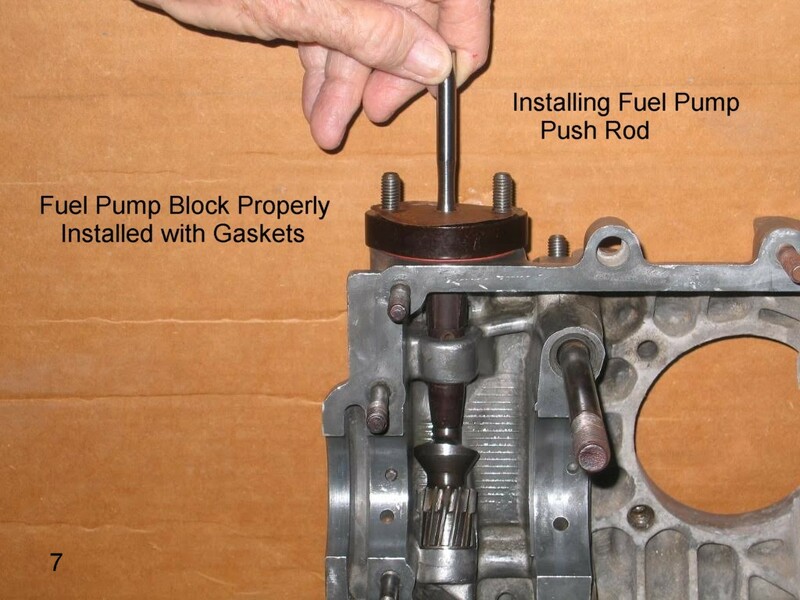 One think I always did wonder was whether stacking gaskets or shortening the push rod, while reducing pressure, might it not reduce the fuel volume pumped as you are in effect shortening the pump stroke. Thanks again for all your technical support! Great article Jay and very well written. This is a frequent topic on The Samba as well. I know that in many cases the aftermarket fuel pumps sold today provide way too much fuel pressure. The Airtek fuel pumps sold at many FLAPS are an example as are some of the ones made in Asia. Another note is the Pierburg fuel pump repair kits sold by most VW vendors creates issues as well. The diaphragm spring is too stiff which creates high pressures. Some kits are reported to have issues with the length of the diaphragm assembly rod that holds the main diaphragm and spring assembly. It is too short. As mentioned above, some folks shove too many paper shims under the fuel pump in an effort to reduce the PSI. So many in fact that they reduce the volume of the pump and create new problems like fuel starvation at high RPM’s. The steel replacement parts in those rebuild kits are inferior to the original parts and the check valves don’t fit. The bottom line is I avoid those kits for those reasons. I’ve found that the NOS kits from the 60’s and 70’s are the best to use when rebuilding an original VW Pierburg pump. I’ve rebuilt a lot of them over the years with the NOS kits and they are produce between 2.5 and 2.8 PSI with no paper shims under the pump and the bakelite mount. I’ve never seen any measurable wear on any of the steel parts like the rocker shaft or rocker itself. Well said. This is why we build our pumps with only NOS parts. We’ve always had happy customer and no issues. I’ve seen aftermarket kits put out as high as 16 PSI. There’s not enough gaskets that will fix that. In the future, we are going to start cutting our own diaphragms. I don’t know anybody nearby me who knows the information you supplied.